When things are the same for too long, I get restless and feel like doing something crazy. I'll get a new piercing, cut my hair or totally change up my style. The same goes for my blog. If I feel like Dainty Alice isn't progressing or improving as I think it should, I'll turn things around and head in a totally different direction with it. In my last blog revamp I tried to make Dainty Alice as editorial and magazine-like as possible with a simple, chic header and high-contrast images. But it just wasn't working for me. As a person I am far from chic. I'm clumsy, yet meticulous. Ditzy, but still implicitly sassy. I'm often found wearing floral dresses, but teaming them with converse and denim jackets. I'm just not polished enough to be put into only one category, and I don't think my blog should be either. Due to this, I am currently in the process of totally revamping my blog design, layout and content. I've designed myself a truly gorgeous new header and switched my colour scheme to a design which doesn't fit into any one blog category. I don't want Dainty Alice to be *just* a beauty blog. I want it to go back to being the place where I express myself and write absolutely anything I want to. I'm still figuring out exactly the direction I want to head, but I want my posts to be passionate and upfront, just like I am. So, that's the whole thing about my blog's new look. Now onto myself. 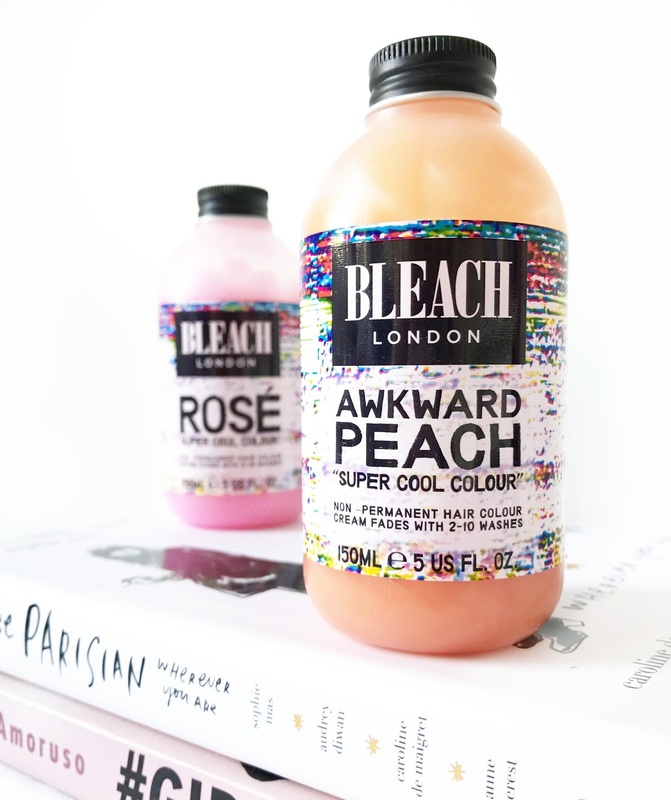 If you follow me on Twitter, Instagram, Facebook (all that jazz) you'll see that I've dyed my hair a gorgeous peachy candyfloss pink using Bleach London's Rosé and Awkward Peach semi-permanent hair dyes! In case you somehow haven't seen, here's a little photo of it. I absolutely adore it and I'm really starting to feel more like 'myself', which I haven't really done since September when I cut all my beautiful waist length hair off due to an accident with some blue dye. It's all a really big thing for me to put this photo up as I never have photos of myself on my blog, so this is pretty cool for me too. I love my hair, I love my dress, and I'm feeling really confident about putting more of my personality and style into my blog. This post came out as a whole load of word-vomit, but I'm not even that bothered. I wanted to introduce my readers to the side of myself and my blog that isn't perfect Instagram photos or carefully composed paragraphs of writing. What do you think my my blog's (and my own!) new look? I hope you're looking forward to different, more regular posts from me! Having a blog revamp is always good if you don't think it's in the right place where you want it to be. 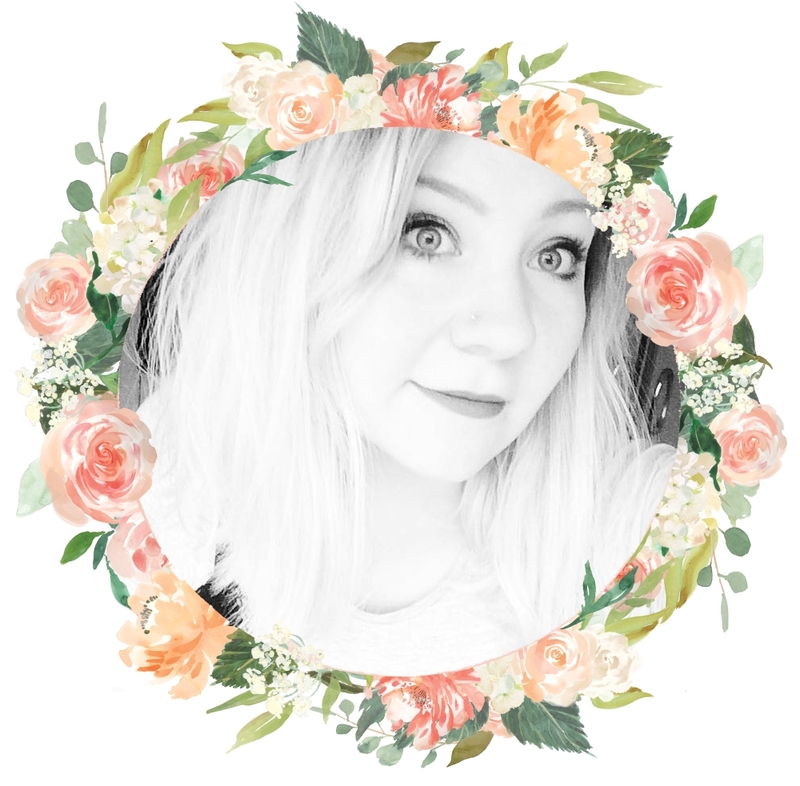 I think the floral header looks good and I look forward to seeing how you make your blog more you and show more of your passion in it! Also love the hair colour! I want to do mine with some of those but I'd need to lighten it first before it takes I reckon. I'm in love with your blog anyway, however I'm so excited for your revamp and new topics! As for your hair, it reminds me of Frenchie from Grease! Adorable! Good luck with your new looks babe! Love the header and love the hair! Bleach's dyes are all so fab. I'm loving my hair so much! First time using Bleach dyes and they're fab! Honestly I don't really like blogs that are too ediorial-ish as it can feel really cold and impersonal, part of what I love about blogging so much is getting to know the people behind the blog so I'm really excited for this new direction of your blog! I've been wanting to do my own hair a peachy pink ombre, I love how yours has come out, you look lovely! 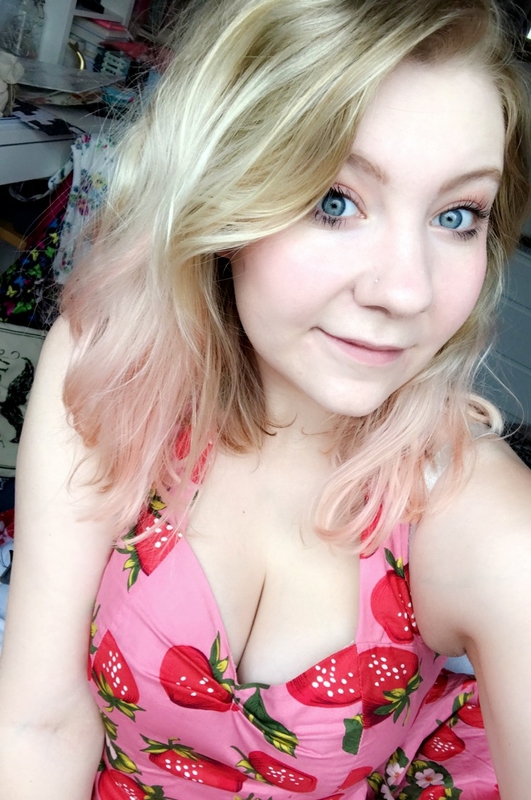 I flipping love your new hair, and I love the strawberry dress, it is so flipping cute I love it! I think it's very important to change something to make you feel better from time to time. I was thinking about changing my hair color for a long time, but I'm not sure if I have the balls to do it, haha. PS: the header is really adorable.